It's snowing like crazy here in NYC but True Panther Sounds remains bundled up, huddled away and working hard. Taking a few precious moments every day to find good youtube videos, but also putting out a bunch of records. Wanted to give y'all the latest update in the True Panther Universe.. This last Tuesday, 3/23, we released two brand new records. Hunx and His Punx' "Gay Singles"
We initially released a limited vinyl pressing this last year, but after blowing through them we re-pressed it on LP/CD/DA. It now has slightly different cover art, a cd that includes all the videos, better quality vinyl, and a free mp3 download with each record. PLUS it's cheaper than before. The songs are classic glammy, and gay. They've gotten better with each listen. Lookout for national and international tour dates in the next few months. This is a limited edition single from one of our favorite new bands. Their record is coming out on Rough Trade, but this first single is all ours! It's limited and features an exclusive b-side "Oh Annie", a more plaintive and restrained version of the band. Enjoy! We're also putting out 3 brand new 12"/digital records on March 9th! New releases from Tanlines, Lemonade, and Janka Nabay. Each record is a totally unique incantation of the dance music spirits- Janka electrified the Bubu dance music of his native Sierra Leone, Lemonade mixed every kind of electronic music from the last 30 years in a big caribbean fruit salad, and Tanlines are making "new music" , coalesced from tropical sounds and restrained house. We're just going to call it all "Yes Wave". We're also having a big show to celebrate the release of the 12"s. Hope to see some of you in the New York are there! That's it for the update for now. Hope you enjoy the records. We have some great stuff on the burners for the new year, full-lengths from Glasser and Magic Kids. Releases from Teengirl Fantasy, The Bitters, and Real Estate. Stoked!! Harlem are on the West Coast as of this writing, catching up with old friends and making new ones in advance of their second album, 'Hippies' (LP/CD/digitized bits) coming out on April 6 (April 26 in the UK and Europe). 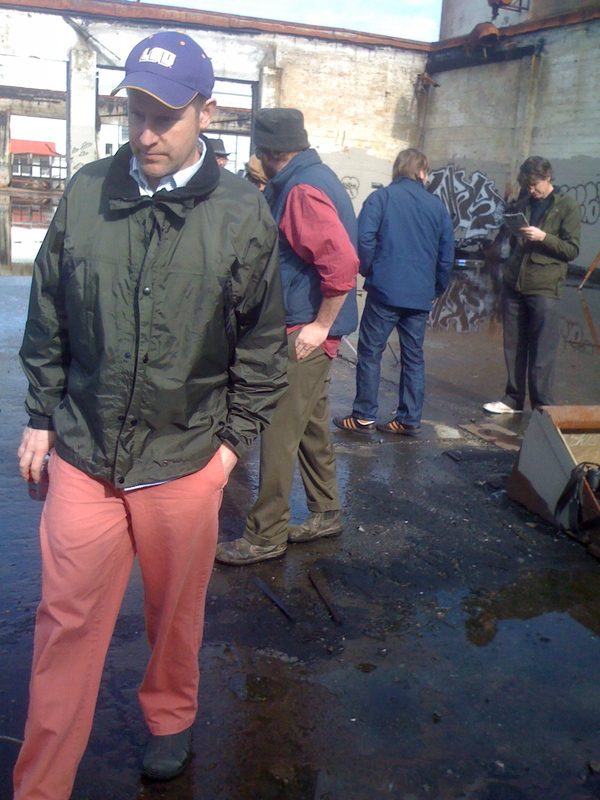 Though a bunch of new spring dates were just announced (below), we'd like to call special attention to the band's April 1st show at Austin's Mohawk, will serve as a record release bash for 'Hippies' (if not one of those annual record label stunts where we claim we're doing a Record Store Day exclusive with Wal-Mart or something of that nature). Cowabunga Babes are on the bill and additional pals will be confirmed shortly. spiral here from the pavement. we are about to embark on our very ambitious world tour in a couple days. march 1 is the first date and it's in a place very special to our hearts... new zealand. we've got the great 3d's opening so it's gonna be a legendary night. we then travel across the tasman sea to my future country of residence, australia (i'm actually writing this to you from brisbane where i'm spending a few days torturing my fiance and her family practicing the songs before the tour starts). speaking of practice, we recently had two good weeks of practice in portland. 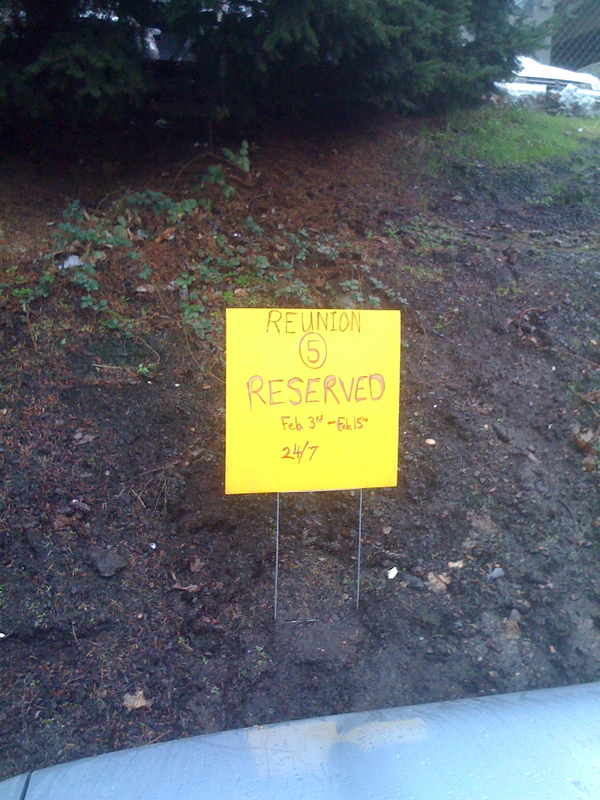 it was the first time some of us had been in the same room together for close to 10 years. i think we all were a little nervous. 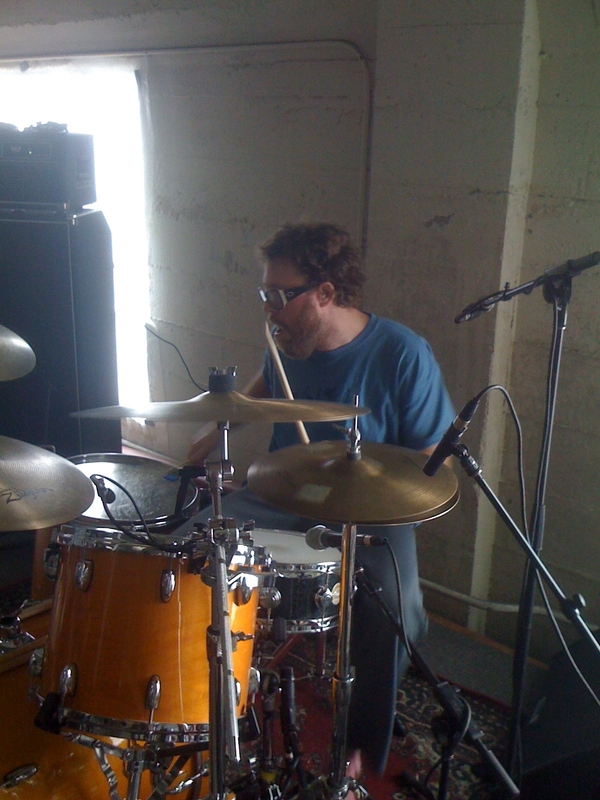 it started off pretty rough, except for our drummer who probably practiced the most. 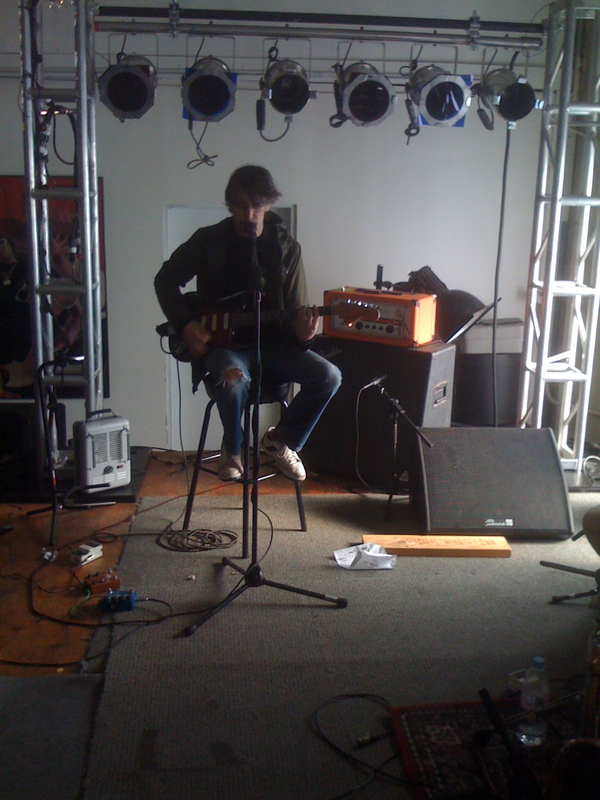 but... by the time we had finished, most of the 40 plus songs we had rehearsed were sounding pretty good. we're really looking forward to the year ahead and seeing all the fans out there digging the music makes it all worthwhile. so thank you for buying tickets. we've also got the cool 'qtp' best of comp coming out march 9. it was compiled by the band and includes all our faves from the catalog. also... thanks to all for buying the spiral stairs record. 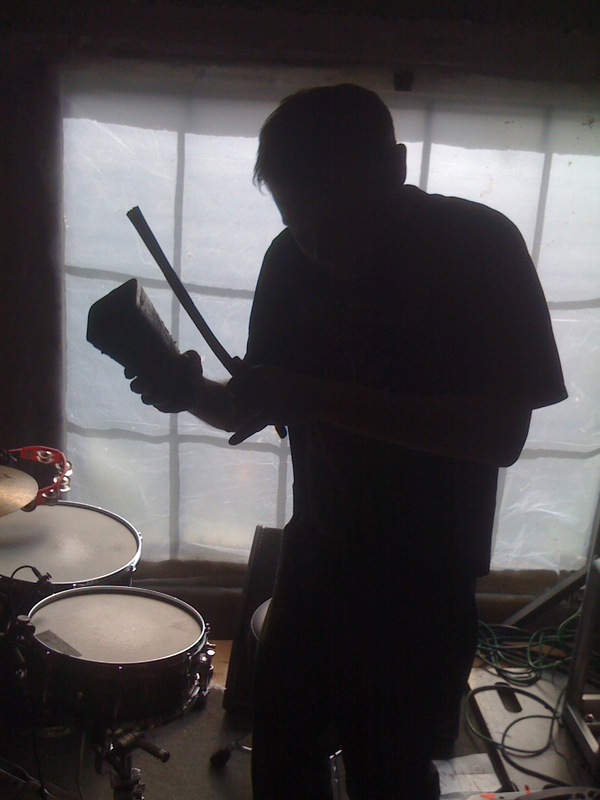 i'm planning some shows in the new year in between the pavement maelstrom. we're set to play all tomorrow's parties in the uk and maybe some others around those festival dates. as for north america, look for shows in june or july in the midwest and east coast. Last Friday night, some of us were lucky enough to catch Fucked Up perform a set that - even by the band's lofty standard - was really one for the ages. Every Man for Himself and God Against All: Fucked Up from Ray Concepcion on Vimeo. Also, FACT Mag has just published a mixtape by Mr. Jo of FU. Finally, the first non-Matador employee to respond to this post correctly identifying the up-and-coming New York bedroom-pop wizard rocking the Fucked Up t-shirt on Looking For Gold wins a prize. 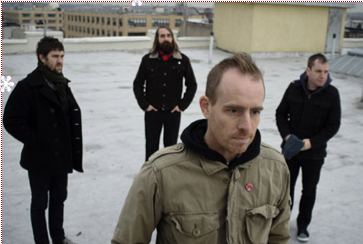 On Tuesday, March 9 --- the official day of release for the new LP/CD/digital album The Brutalist Bricks --- Ted Leo & The Pharmacists will be playing a handful of songs, new and old at Brooklyn's Knitting Factory. After a brief intermission, the quartet will return to the stage to provide musical accompaniment for an evening of karaoke. 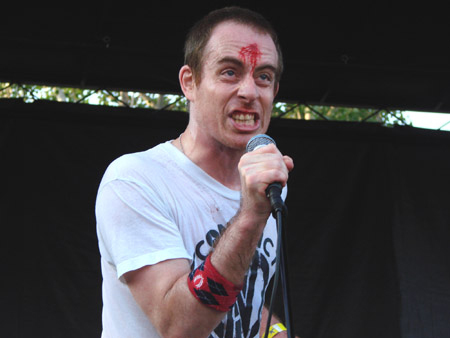 A list of available songs will be posted at the door, as well as in advance at the new look Ted Leo.com. Might this be a rare opportunity to see Chris Lombardi performing his award-winning version of "The Wreck Of The Edmund Fitzgerald"? Probably not, but if spreading such information guarantees greater press coverage and/or a line around the block, well, we'll do whatever it takes..
As always, the album features the immense talents of A.C. Newman, Dan Bejar, Kathryn Calder, Neko Case, John Collins, Kurt Dahle, Todd Fancey and Blaine Thurier. It was produced by Phil Palazzolo and recorded at various studios in Vancouver, Brooklyn and Woodstock New York, and oh man, do we love it. Seems like it should have happened ages ago. 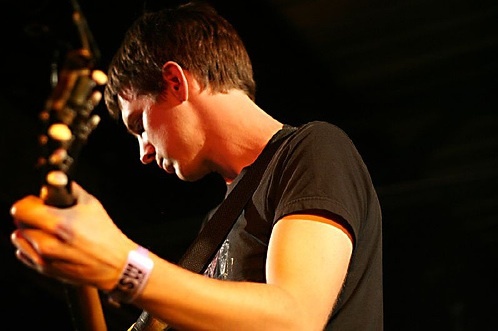 Check out Shearwater covering "Baby's On Fire" by Brian Eno. 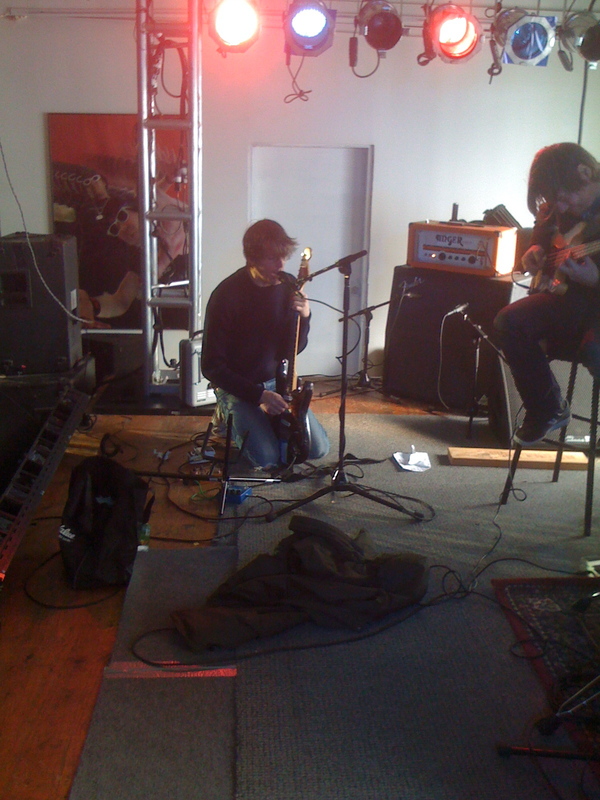 Taking Tiger Mountain was my introduction to non-mainstream music, years ago. Listen on Chromewaves Radio. The Golden Archipelago is in stores on Tuesday (or last week if you live in Europe). Devotees of the Matablog will remember our previous discussions of chili. Here at the 'dor we prefer real texas red - no beans, not much tomato, and the beef in big meaty chunks rather than ground. We also make our own chili powder using an assortment of different whole dried chiles. All this contributes to what John Thorne calls real chili's distinctive rasp. But it also makes for a certain austerity. I'm reminded of Thorne's description of artisanal grits: "Their taste may hold a narrow place on the flavor spectrum, but that doesn't mean it's limited." What if you have a craving for a real chili with a more sumptuous flavor? 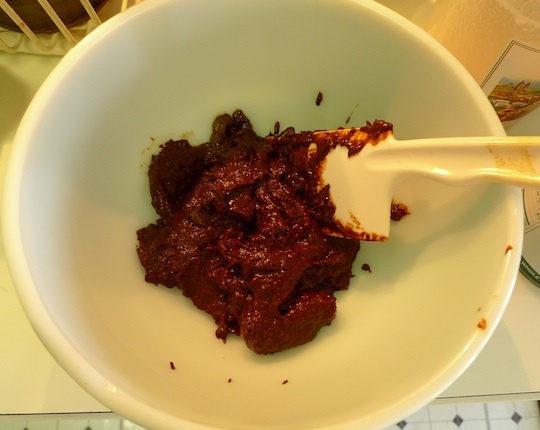 It was while I was having these midwinter musings that I ran across this post from Serious Eats food science writer J. Kenji Lopez-Alt, "How To Make The Best Chili Ever." Kenji's recipe contained some real insights and I decided to give it a try - with a couple of alterations, of course. The main thing that interested me was his treatment of the whole chiles: toast them, cook them down in stock, puree them, and then fry the puree. This rids the chili of the grittiness that powder can sometimes provide. It smooths Thorne's rasp, perhaps a bit too much, but the aim here is a more luscious, comfortable chili. This method certainly achieves it. Another idea that really rang true for me was his treatment of the beef. 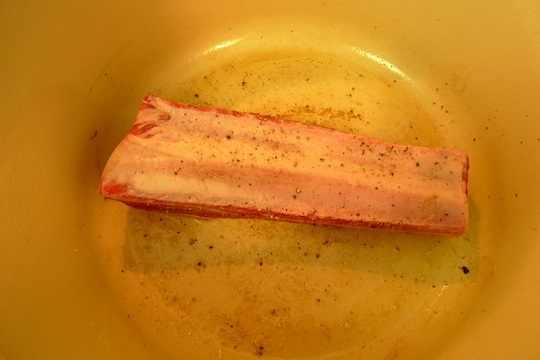 I had been finding it very difficult to get a true browned flavor from my chuck, even cut into 1/8" or 1/4" cubes (by hand) - the amount of water released from the small pieces of meat during the long browninng necessary to cover that surface area necessarily interferes with developing a caramelized crust. 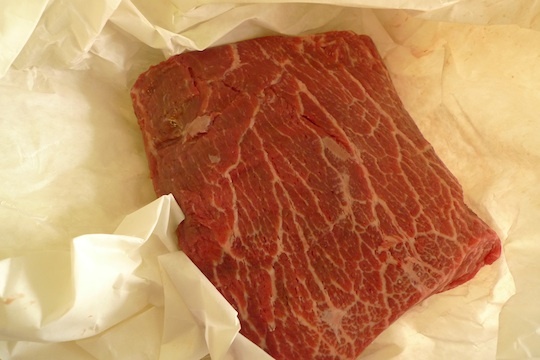 Kenji's solution: brown the whole pieces of meat, let them cool, and then cut them up. He also borrows an idea from Heston Blumenthal and adds a small amount of toasted star anise, which adds no perceptible liquorice notes but does mysteriously bring out the browned meat flavor. Most of the rest of his ideas also meet no opposition from me: umami bombs (soy sauce, anchovies and Marmite, all added to the puree of chiles), unsweetened chocolate (we're already a long way from Thorne's purism), a slug of hard liquor at the end to release all the complex aromas. 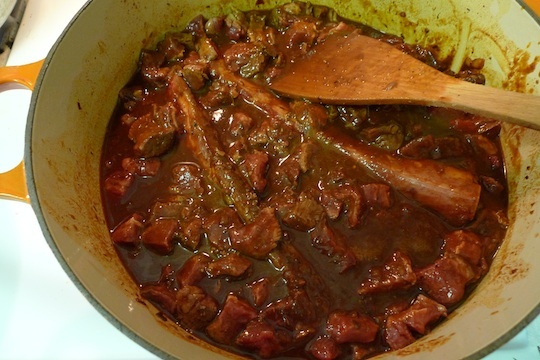 My main changes: I browned my meat in rendered suet, which is not only more true to chili's past but also tastier. 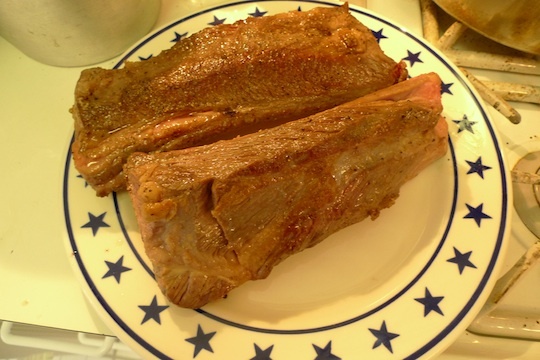 Instead of just shortribs, I used a combination of shortribs and chuck, all from the great Florence Meat Market in the Village. I abstained from adding coffee, since one eater has a reaction to it. I put in about half the tomatoes that Kenji recommends (you don't want to go too far), and of course I omitted the beans. I didn't put in 1/4 cup of Frank's Red Hot Sauce - I've always found this to be a hot sauce of limited depth or interest - and ultimately this chili was not spicy enough. Next time I would add back some of Thorne's recipe by crumbling in pequins as the chili cooks to adjust the spice balance. That said, I did actually use more chilis that Kenji calls for - I believe that chili should taste primarily of chile and beef, and his formulation would only pair a tablespoon or two of chili powder equivalent with 4-5 pounds of meat - definitely not sufficient. Finally, I used sherry vinegar instead of the cider vinegar he calls for, just because that's what I had around. All this said, this chili was astounding, bursting with intense, deep, rich soulful flavor. It was a bit sweeter and more accommodating than I would like - as I wrote above, it needs more kick, but that will be easy to achieve next time with careful administration of pequins or chiles de arbol during the simmering process. Other than that, this chili was just about perfect - and all the eaters concurred. If you'd like to try this, here is the link to Kenji's recipe (be sure to read the preparation notes here as well). Below are my changes. This chili is truly stunning. I urge you try it. 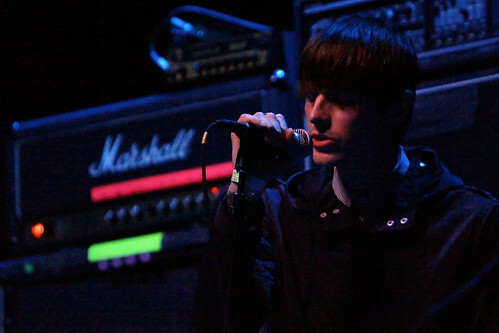 Cold Cave have canceled the remainder of their Midwest dates as they reconfigure their live setup. 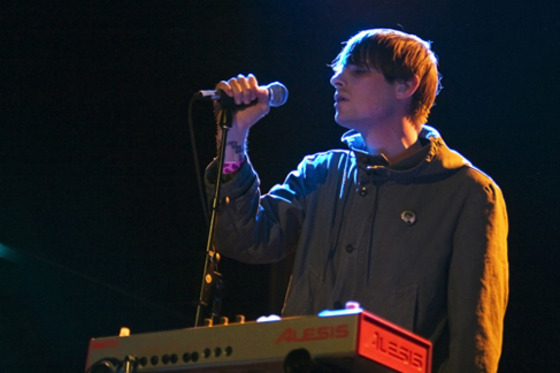 Over the past two nights, Cold Cave's performances in Las Vegas and Pomona featured founder Wesley Eisold and Dominick Fernow with an extended lineup comprised of Guy Licata (formerly of Hercules and Love Affair and longtime Bill Laswell collaborator) and Jennifer Clavin (formely of Mika Miko). 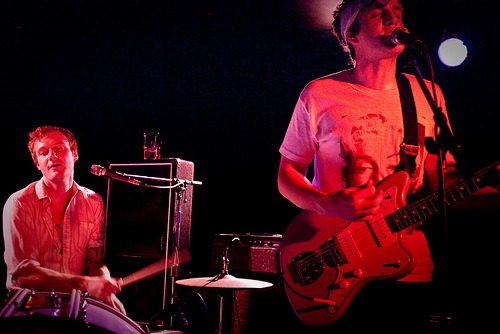 The same members will take the stage at the Echoplex in Los Angeles tonight. The band will be resuming dates beginning March 6 at London's Engine Shed with the Editors. They hope to reschedule all canceled dates in the near future. 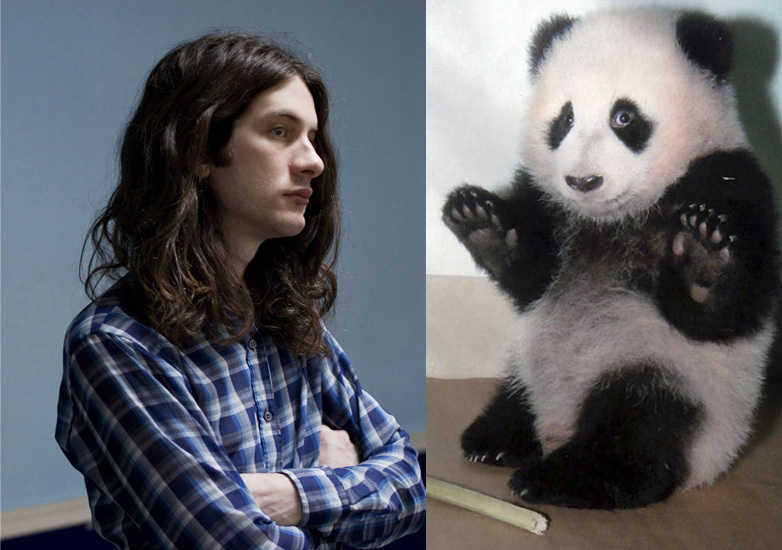 Our very own Kurt Vile will be the opening act for the so-hot-right-now Panda Bear in Europe. Tickets are like gold-dust so be prepared to beg, steal or barter your soul for this. We here in New York City are a little tired of our west coast friends telling us about their recent streak of 80 degree days. It's February. It's supposed to be cold. It's supposed to be dark. It's supposed to be gloomy. Deal with it. So to combat the sunshine we're sending a little bit of the East Coast over to Echo Park tomorrow night when Cold Cave takes over Origami Vinyl for a few hours before their show at The Echoplex. The store will feature a wall of LPs curated by Cold Cave frontman Wes Eisold, some books and records from Eisold's own Heartworm Press, a special DJ set/meet-and-greet from the band and free Colt 45. So quit applying your sunscreen and get your February on. The flyer above pretty much says it all, but if your browser's not displaying images or you have trouble with military time (and are also unaware of how the subject line of a blog post relates to the content of said post), here are the pertinent details: Fucked Up of Toronto, ON and Kurt Vile of Philadelphia, PA are paying visits to the latter city's own WKDU before tonight's show at the Barbary, and each will be treating your ears to a live session at 91.7FM or wkdu.org. 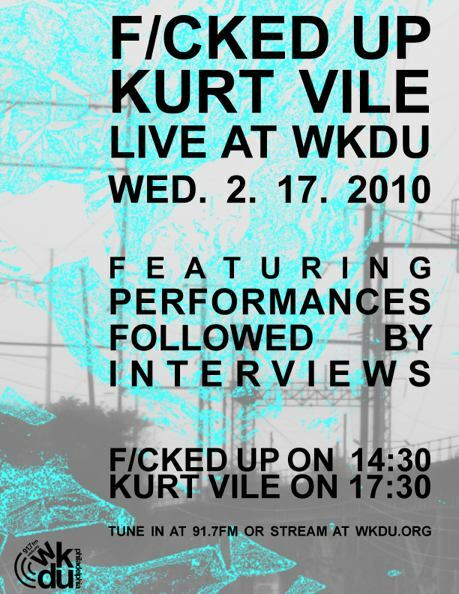 Fucked Up plays at around 2:30PM EST (it's college radio, we thrive on uncertainty in this biz), and Kurt follows at 5:30PM EST (or thereabout). Those of you looking for a more permanent way to spend time with the aforementioned artists (though when you get right down to it, is anything really permanent) should click on over to the Matastore to purchase the latest Fucked Up and Kurt Vile jams, both of which come highly recommended by the discriminating music fans of Philadelphia and the world. Keep your eyes on this spot for the video of the song in upcoming weeks. 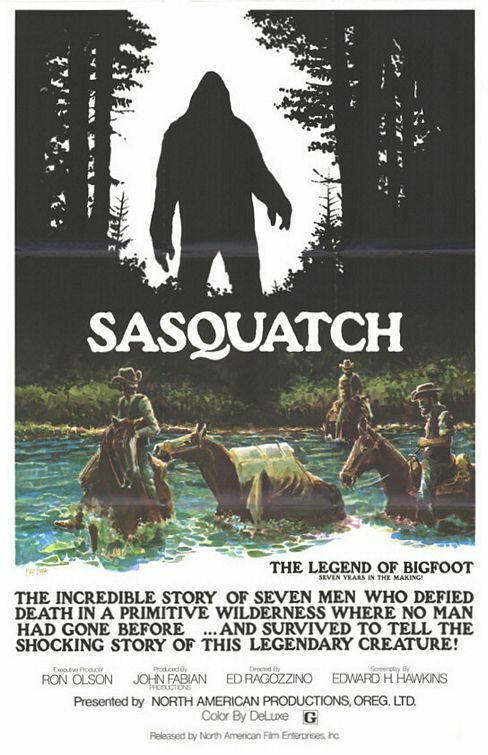 As you might've heard elsewhere last night, Pavement, The New Pornographers and Girls are each taking part in 2010's Sasquatch Festival (May 29-31, The Gorge, WA). A number of our other favorites are taking part (No Age, Band Of Horses, Quasi, Public Enemy) but we'd I'd like to extend a very special thanks to the organizers of this event for NOT BOOKING SOUNDGARDEN. Keep hope alive! Been spending a lot of time making echt-Italian recipes (Mario Battali: "the sauce is a CONDIMENT!!! 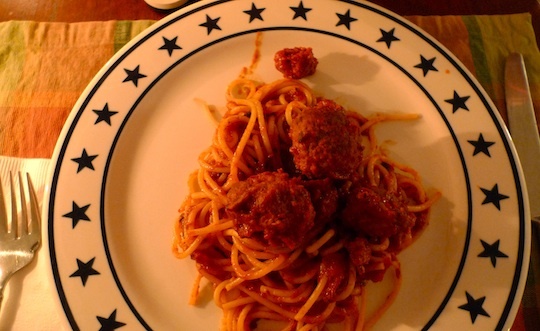 "), but there's nothing I enjoy more than real Italian-American spaghetti and meatballs, aka "gravy" if you come from around here. I was extremely fortunate that our sales and marketing dude Mike Venutolo-Mantovani shared his mom's gravy recipe recipe with me. I don't have permission to actually post it, nor could I, because it's as much a way of life as a "recipe" per se. The writing was overflowing with personality and family vibes. It takes two full days to make it properly, and involves beef neck bones, babyback ribs, meatballs, four different types of tomato and long, long, slow cooking. 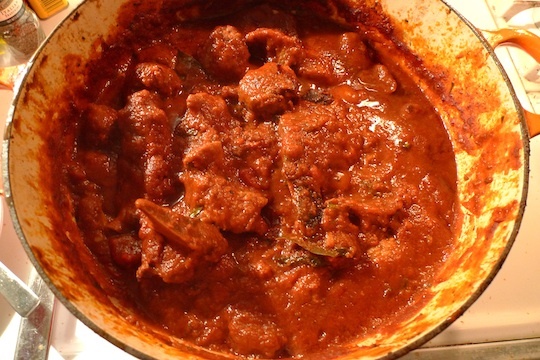 As you can see, the result was a dense, deep brown-red sauce bursting with chunks of meaty flavor. It was unbelievably delicious and soul-calming in this wet and snowy winter.